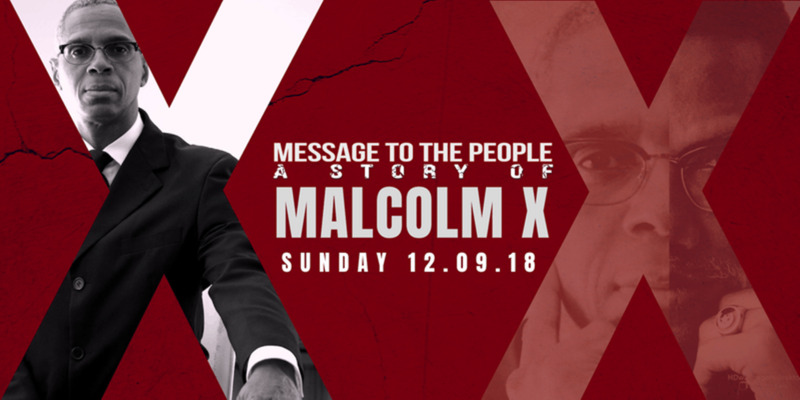 When local cultural activist Aundar Martin decided that he wanted to present his message of “black pride, self-reliance and human rights” through the art of cinema, he decided to adapt his 2011 stage play Message to the People: A Story of Malcolm X into an independent film. Martin, who organizes and hosts cultural festivals and events around the city, including the Kwanzaa Market Festival and the Pan-African Festival, portrays the late Muslim minister and human rights activist in both the play and the film. Message to the People is directed by Born Logic Allah. According to Martin, 80 percent of the script are words spoken by or about Malcolm X. “What we thought made this story different than other stories about Malcolm X is that it gives insight to the man and his transformation from childhood to adulthood,” Martin told the Current. “We wanted to show the transformation, not only of Malcolm but also a human transformation—how people can ultimate change the conditions of their world.” Alamo Drafthouse hosts a screening of the San Antonio-produced film, followed by a live Q&A with the director and producer.